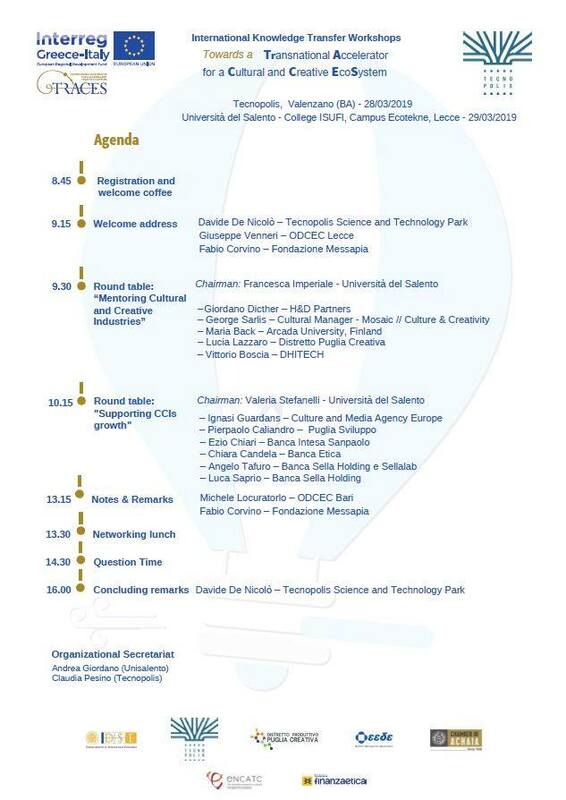 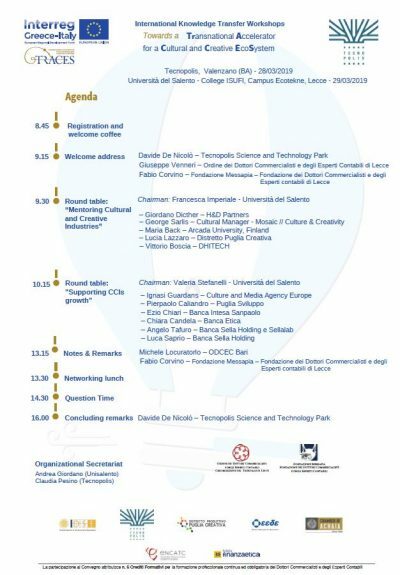 On 28 March the Knowledge Transfer Workshop of the Interreg Traces Project will be held in Tecnopolis and on 29 March at the ISUFI College, Ecotekne Complex of the University of Salento. 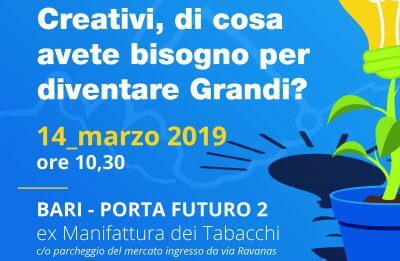 The Workshop aims to create a moment of training / information for potential business consultants on two elements: mentoring for cultural and creative companies and supporting their growth. 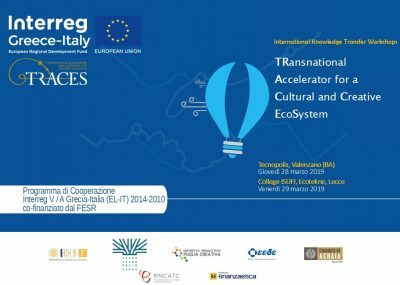 Kick-off meeting for Traces, “TRansnational Accelerator for a Cultural and Creative EcoSystem”, funded under the Interreg V-A Greece-Italy Programme. 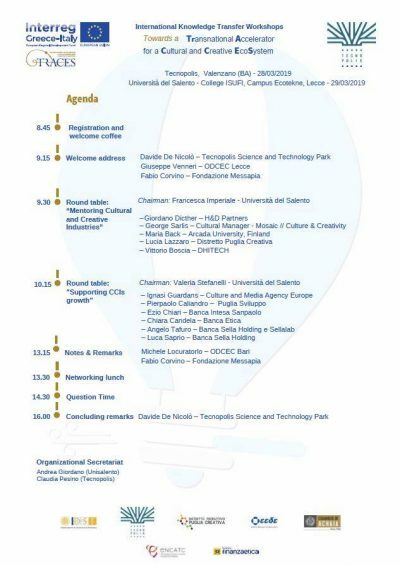 The Kick-off meeting of the project Traces - “TRansnational Accelerator for a Cultural and Creative EcoSystem”, co-funded for 1 Million euro by the Interreg V-A Greece-Italy Programme 2014-2020, was held on 16 and 17 May in Lecce (Campus Ecotekne).